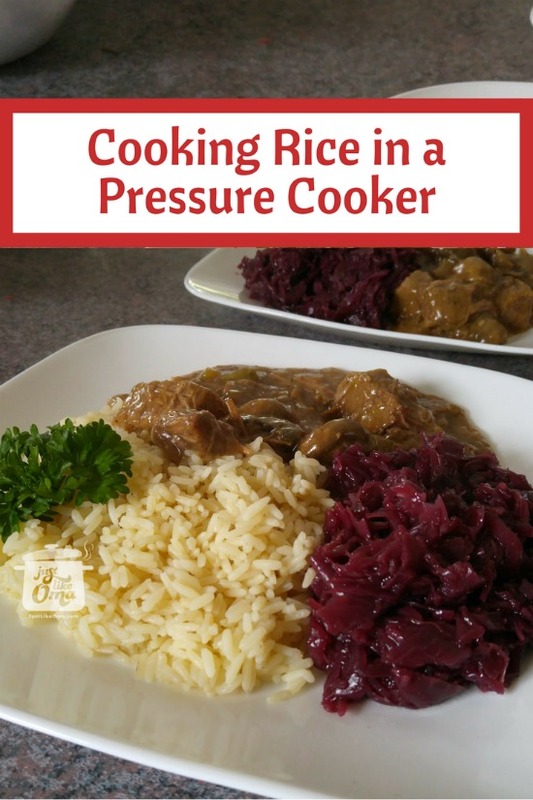 Cooking rice in a pressure cooker was one of the first foods I tried after I purchased my Instant Pot IP-DUO60 pressure cooker. I was totally amazed how easy it was to make. It really was "set it and forget it" and, it was absolutely PERFECT. Not mushy. Not gooey. Perfectly separate grains. Just take a look at the photo above. I've always made rice by boiling and steaming it. It's the way I learned decades ago (from the Galloping Gourmet) and the only way I've made it since. Now, though, it's only going to be pressure cooked ... so much easier and quicker and ... dare I say it ... perfect! Put water into inner pot in Instant Pot. Put the rice into a sieve and rinse under running water. Drain well. Add to inner pot in Instant Pot. Stir in Vegeta or salt, if using. Make sure that no rice kernels are on the top edge of the Instant Pot. Lock the lid and turn the steam release valve to sealing position. Let the steam release naturally (NPR) for 10 minutes. Then release any remaining steam (QR). Open lid and fluff rice with fork. This is NOT your Oma's pressure cooker! After using my new pressure cooker for the first time, I really wonder why it took me so long to take the plunge to buy a new electric one. Decades ago, I had a huge pressure cooker that I used for canning. I never cooked in it. Well, let me correct myself. After I made a mess of the ceiling, I never cooked in it again. Instead, it became a really good container (minus the lid) for my hubby to use in the garage. I'm so glad my Facebook fans convinced me that the new, modern electric pressure cookers were not like the old ones. Need some Meat and Gravy? Want to make this absolutely wunderbar meat and gravy to go along with the rice? Above, I served the rice with Flatladen, my alternative to Rouladen. Check it out here! I'll be practicing with the Flatladen and Rouladen in the Instant Pot ... keep watching for those recipe conversions. The usual ratio for rice to water is 1 to 1. Personally, I found that using 1 part rice to 1.25 parts water turned out perfect rice. Want more or less rice? Just use the same ratio. The timing stays the same.